Welcome to MOLLY MAID of Hattiesburg! We’ve been providing high-quality maid services to residents in the Hub City and surrounding area for over 15 years. At Molly Maid, we specialize in professional house cleaning services which means we’ll handle all your home cleaning duties so you don't have to. No contracts, no hassle. Just a clean comfortable home from the Hattiesburg maid service of choice. We pride ourselves on customer service, so your satisfaction is guaranteed. Our housekeeping services have saved your neighbors time. Why not experience the same professional home cleaning services for yourself? In addition to Hattiesburg house cleaning, we also meet the residential cleaning needs of customers in Laurel, Petal, Collins, Columbia and the surrounding areas. We're proud to provide quality maid service throughout the Pine belt area and also give back to our local community. 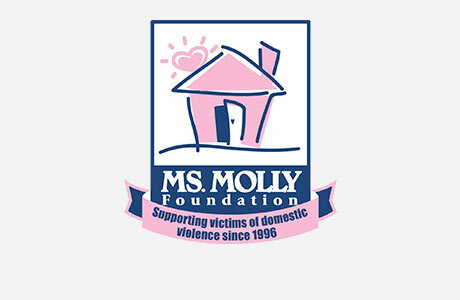 A portion of every cleaning is donated to Domestic Violence Awareness in Hattiesburg. In addition to supporting the domestic abuse shelter, we also support the Pine Belt Boys and Girls Club. How much will maid service cost? It depends on the size of the home and how the home is lived in. We will provide you with an estimate before the clean. Can I get a certain day for routine cleanings? Yes, you can. Let me know your preference and we'll make every effort to accommodate. Will maid service fit in my budget? Of course, yes. We can prioritize duties in the home to fit your budget. If you have additional questions about our Hattiesburg maid services please feel free to give us a call at (601) 453-4742 and learn why your local Molly Maid is the most trusted name in house cleaning.